The Energy Logger is a safe and easy to use tool for monitoring single and three phase power usage in high consumption applications. 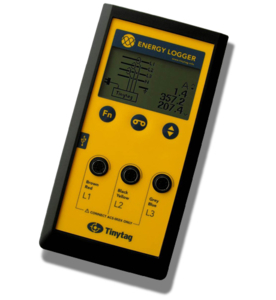 The Energy Logger is portable, self-configuring and non-invasive, and can be used for spot-checks or longer term monitoring of single and three phase power usage in individual devices or complete installations. The logger can be used to monitor both individual high consumption equipment or complete premises. Watch the video to find out more about how to use this unit.